Meet Algernon. He is possibly an eldritch abomination, and also kind of fluffy on the inside. His existence and name are due to two separate friends*, both entirely awesome. 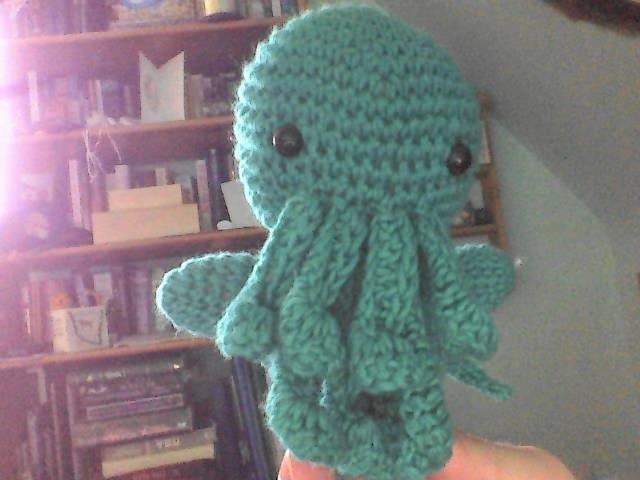 Anyhow, now I've distracted you with the cute mini-Cthulhu - news! I'm off on a quick holiday from this morning, and will probably not be able to post/have internet til next Wednesday, though am bringing many books (you'll get a fresh batch of reviews). Hope you all have fun without me!